New Delhi may have been spruced up and turned into a fortress for United States President Barack Obama's visit, but Rajghat will welcome him just like any other guest. "We will roll out the green carpet for him just like we would for any other important dignitaries. Everyone is welcome here and no special treatment will be bestowed upon anyone as it is against Gandhian principles," Rajghat Samadhi Committee secretary Rajnish Kumar told rediff.com. Kumar points out at the vast expanse of Rajghat and says that not even a wall is being whitewashed for the US President's visit. 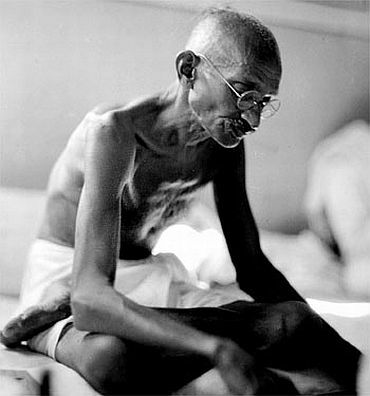 "I am a Gandhian myself and anyone and everyone is welcome to visit Gandhi's Samadhi. I have seen and welcomed so many dignitaries that I have lost count. 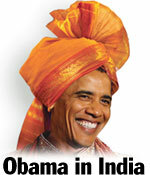 We will make no special arrangements for Obama's visit either," Kumar says. On Monday morning, Obama will get into the Samadhi through the VIP gate. A green carpet will be rolled out as is done for visiting VIPs and chairs will be placed for other dignitaries. 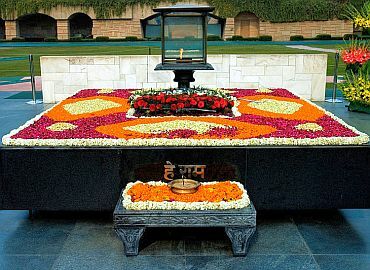 The President and other dignitaries will be taken to Gandhi's samadhi, where they will place a wreath. "We will gift them Gandhiji's bust and also a scroll, which has the seven social sins he quoted in his weekly journal Young India in 1925." Kumar says. 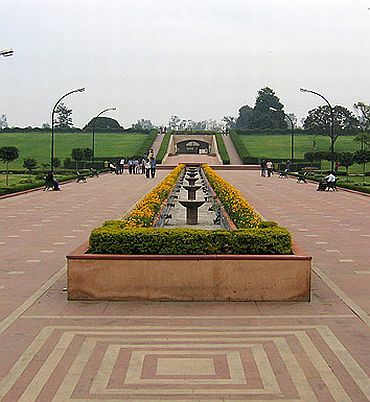 Of course, because of the security arrangements, Rajghat will be off-limits for the general public during Obama's visit. Obama, who has often quoted Gandhi in his speeches, will visit Rajghat to pay his respects. If he decides to visit the Gandhi Memorial Museum, he might just be able to read an English translation of Gandhi's recently discovered diary. "The translation work of the diary, dated between April 13 and December 29 1947, is on in full swing," officer on special duty at the museum Uttam Sinha says. The then director of the museum, Dr Varsha Das, had handed over the diary to the National Archives of India in July this year. She has taken the responsibility of translating the work to Hindi and English and display the work in the museum, Sinha says. 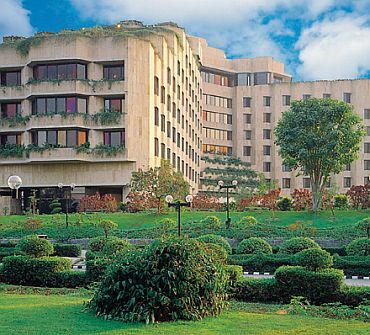 Meanwhile, on the other side of Delhi, in Dhaula Kuan, an impenetrable security cover has been thrown around Hotel Maurya Sheraton. Obama is staying on the presidential floor, where he will have access to his own private library and sauna and steam bath. An official in the Public Relations Office of the hotel, who requested anonymity, said that the hotel has been sealed from November 5 by the US security officials. All 440 rooms in the hotel have been booked for his two-day stay at the hotel. As is the President's wish, a platter will be named after him, the official said. "The hotel had created platters after Bill Clinton and his daughter, Chelsea during their visit in 2000. A platter had also been created after US secretary of state Hillary Clinton during her 2009 visit. The platter will primarily contain meat delicacies, given his liking for meat. There will also be Indian sweet dishes in the platter," the official said. Obama is the third US President to taste Maurya's hospitality after Clinton (2000) and George Bush (2006). The hotel has been chosen over other hotels primarily because of its location. "Maurya is situated in an isolated location. 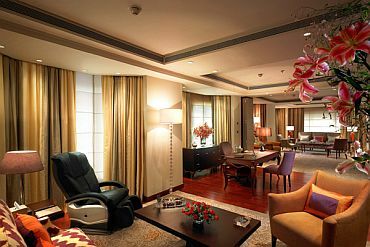 It is safe and ideal to host Presidents and other important dignitaries. The area around the hotel has a huge expanse of greenery, which makes the view very picturesque. 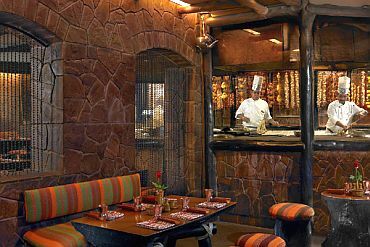 The food at our in-house eatery Bukhara, which serves north Indian delicacies, is also an added factor," said the official.